For years, I have been urging buyers of my turntables to purchase one of these handy devices. 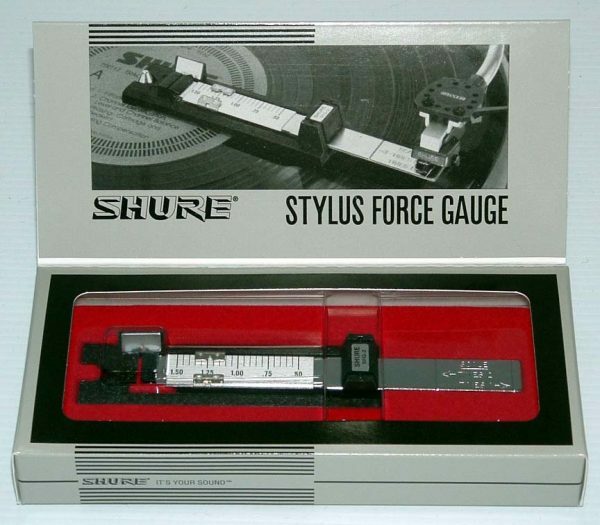 Instead of “balancing out” your tonearm” this simply designed Shure SFG-2 Tracking Force Gauge is a more straightforward way to set tracking force. To me, it takes all of the guesswork out of the process. Some folks promote digital scales of all sorts, but I still love this simple gauge. For under $30, it’s a stocking stuffer for any analog lover.